'China Quarterly' Publisher Restores Articles Following Backlash From Scholars : The Two-Way Cambridge University Press had removed articles about Tibet, Taiwan and Tiananmen Square from its Chinese website at the request of authorities. Days later, the publisher reversed course. Cambridge University Press had removed some 300 articles from the "China Quarterly" site at the behest of the censors, including articles about the Tiananmen Square military crackdown. 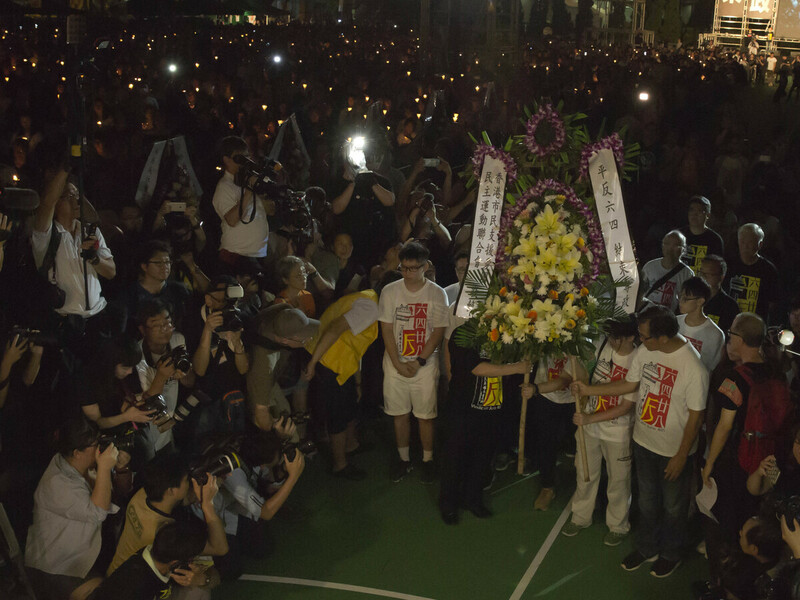 Earlier this summer, thousands gathered in Hong Kong to mark the anniversary of the massacre. The British publisher of an academic journal has reversed a decision to take down hundreds of articles from its Chinese website. In a statement released Monday, Cambridge University Press said it's reposting the more than 300 articles to "The China Quarterly." "The University's academic leadership and the Press have agreed to reinstate the blocked content, with immediate effect, so as to uphold the principle of academic freedom on which the University's work is founded," the statement read. The announcement came days after the publisher initially complied with a request to remove 315 articles from its Chinese website at the request of authorities. The articles covered topics including Tibet, Taiwan and the 1989 Tiananmen Square massacre. At the time, Cambridge University Press argued it was complying with the request "to ensure that other academic and educational materials we publish remain available to researchers and educators in this market. " The decision sparked a backlash though, as academics around the world condemned the move, including "China Quarterly" editor Tim Pringle who said the decision was made without his consent. "We note too that this restriction of academic freedom is not an isolated move but an extension of policies that have narrowed the space for public engagement and discussion across Chinese society," Pringle wrote in a statement on behalf of the publication. Meanwhile, a petition started by a Peking University economics professor gained more than 1,100 signatures. "If Cambridge University Press acquiesces to the demands of the Chinese government, we as academics and universities reserve the right to pursue other actions including boycotts of Cambridge University Press and related journals," read a letter accompanying the petition. According to both statements, Cambridge University Press says it will meet with the agency that requested the removals later this week.